Termidor HP high precision termiticide from BASF has been approved for use in California. Termidor HP termiticide is the latest formulation in the Termidor family of products, and is designed to work exclusively with the Termidor HP High Precision Injection System. The injection system controls termites with an application method that places Termidor HP termiticide in precise, measured doses around a structure. 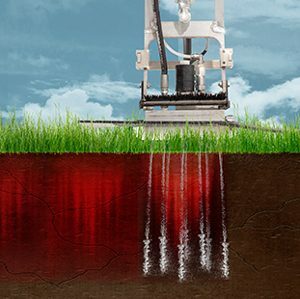 The system uses less water, minimizes landscape disruption, reduces labor-intensive trenching and rodding, and creates a more uniform treatment zone as compared to conventional liquid termiticides, the company says. To ensure accuracy and consistency, the Termidor HP High Precision Injection System is equipped with an advanced digital onboard computer and inline mixing system. A computer-generated report provides a detailed record of the treatment for greater homeowner confidence.